According to the Governor’s Highway Safety Association (GHSA), States reported 2,660 pedestrian fatalities for the first six months of 2016, compared to 2,486 deaths during the same time period in the previous year. 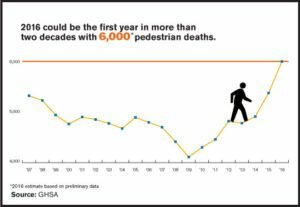 Using this data and historic trends, GHSA estimates that there were 5,997 pedestrian fatalities in 2016. Potential factors contributing to this spike include a better economy, an increase in walking as a primary mode of transportation, and distraction due to growing use of smartphone technology. 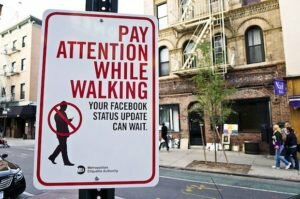 The post Distracted Driving – Pedestrians Pay the Price appeared first on Oberg Law Office.